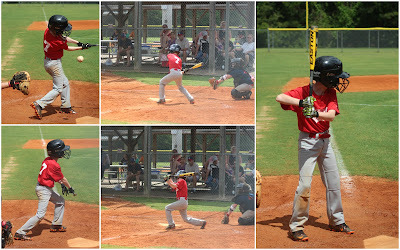 Evan had another fun season of baseball this Spring. 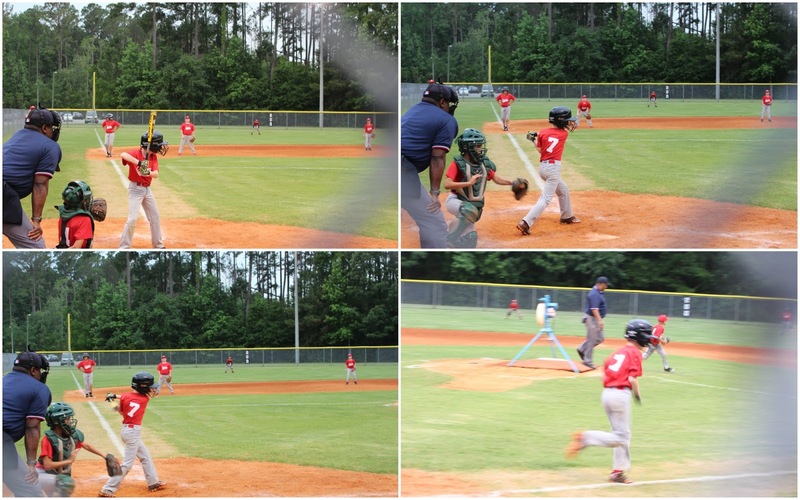 He played ball from late March to the beginning of June. 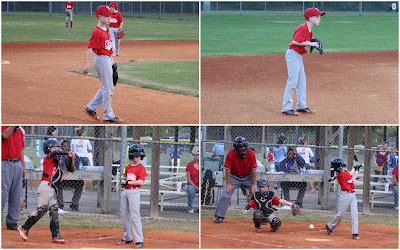 With two smaller children and another child in sports, I hate that I am not always able to watch his games. He continued to improve in his hitting abilities and was hitting well all season. 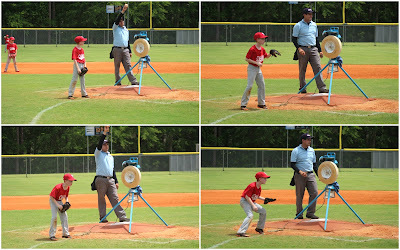 Last year, he played his first year of player pitch, but here, they use a fast pitch machine so he was able to learn to hit much faster pitches than most kids could pitch at this stage. 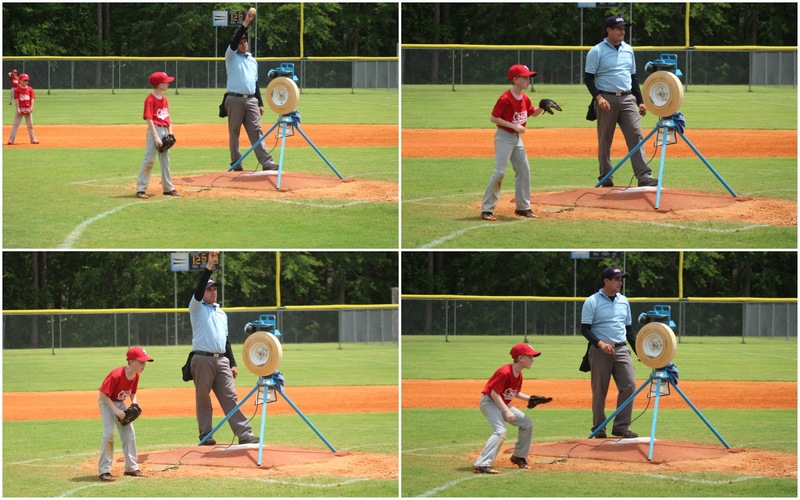 With early stage kid pitch, most of the pitches are not going to be in the strike zone so the kids get walked a lot. Evan was also able to work more on his fielding abilities. He played mostly infield in the pitcher or short stop positions where he stopped fly balls and fast ground balls. 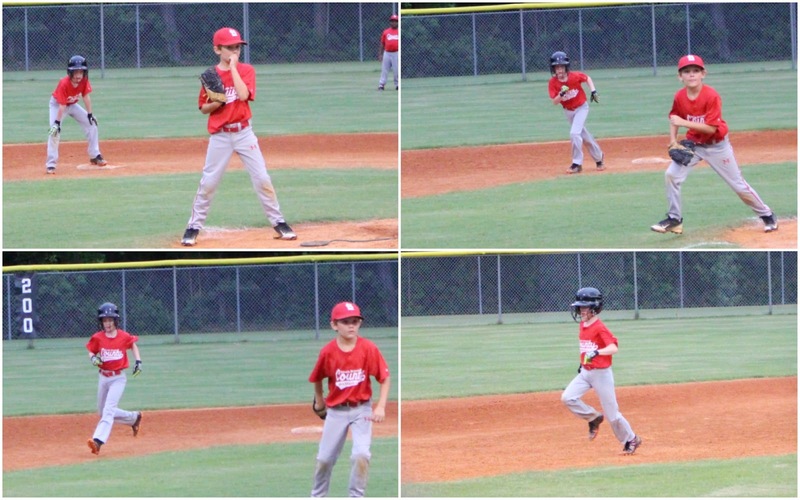 He is very fast at fielding ground balls and throwing the kids out at base and has a very good arm for throwing. He just played rec league this year because we do not want to have to travel for games, but he did get selected to play in a little tournament of the best players from each team in the league. 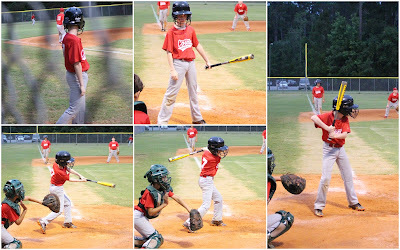 His team did well and won a third place medal for the league even though they should have come in second except the refs cheated them out of the last game of the season because they wanted to let the other team win since they hadn't won any games all season. It was sad to see it end like that because everything had been fair all season. 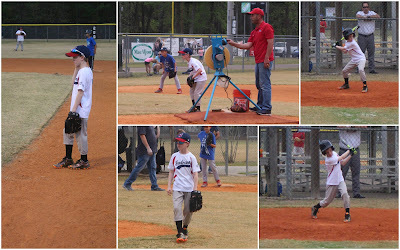 It was still a fun experience, and I was pretty happy with the organization of our new community league. 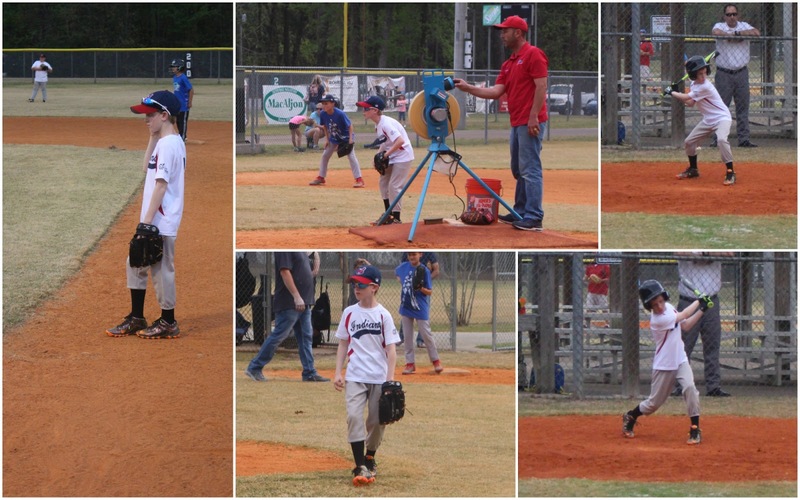 The first practices of the season. 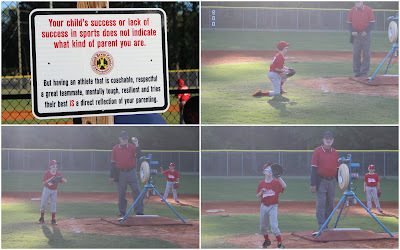 I like the sign posted on the fence about positive attitudes on the field. 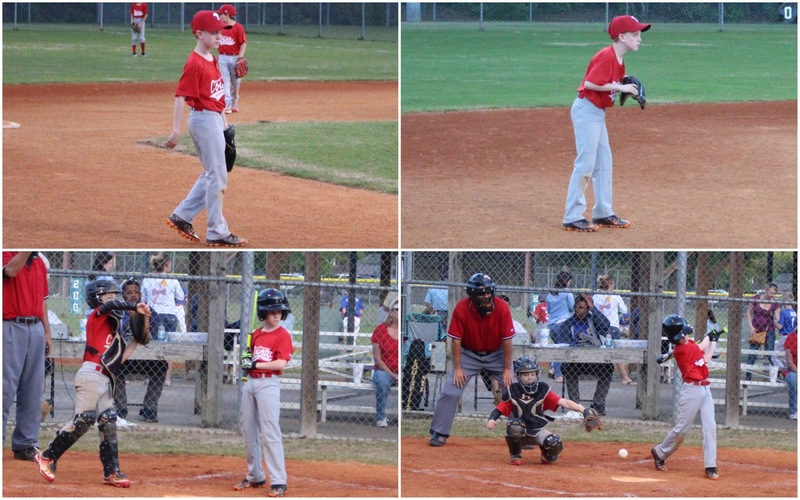 Evan's team was the Philadelphia Phillies this year. Ready to stop some balls in the field. 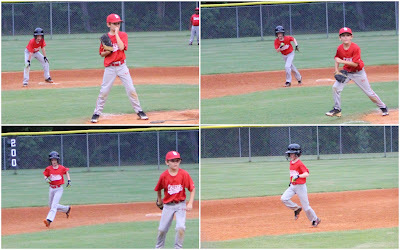 I am horrible at getting good pictures of him in action. I think this hit may have been a foul ball. He likes this spot because he sees a lot of action. 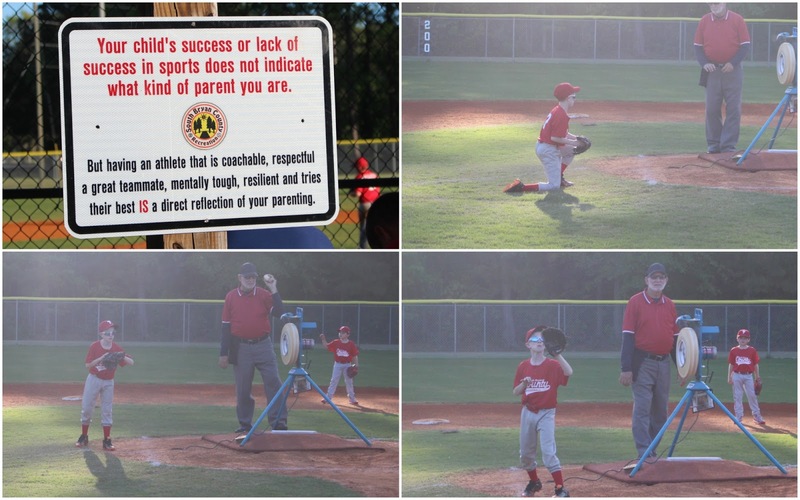 He also likes stopping runners who attempt to steal bases. There is a lot of stealing bases at this stage. 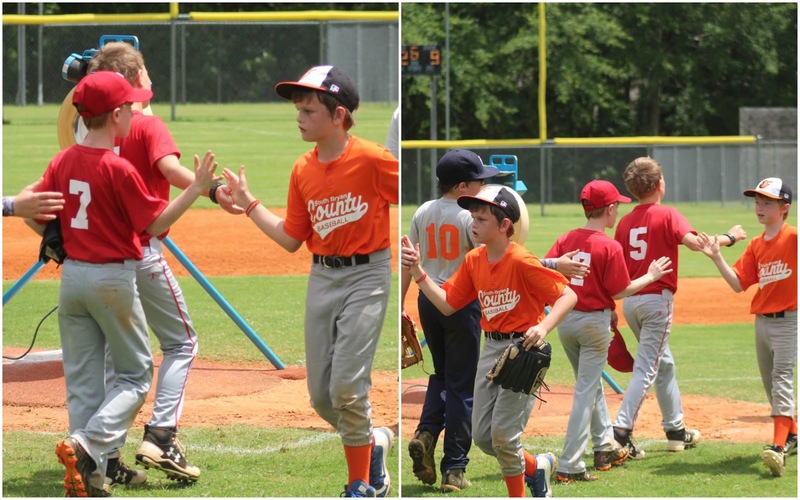 Ending the game with high fives to the other team. 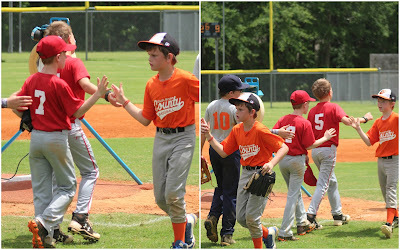 I think this was a tournament game so he played with players from other teams. 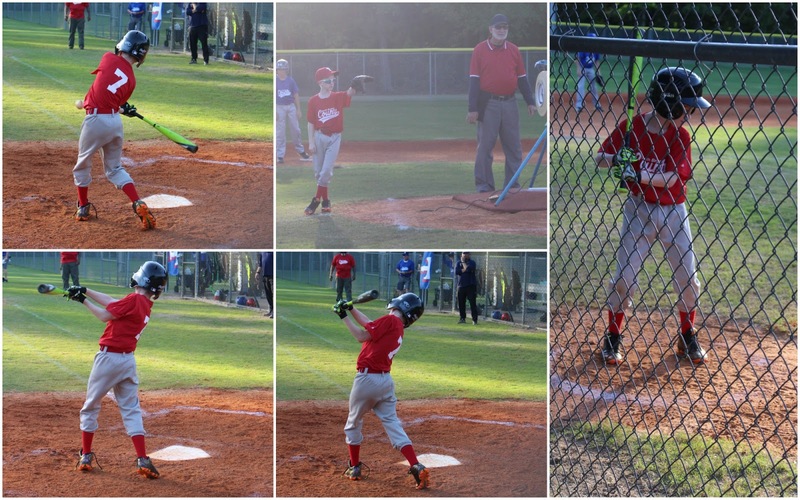 Hitting and running to first. He made it safely to first. 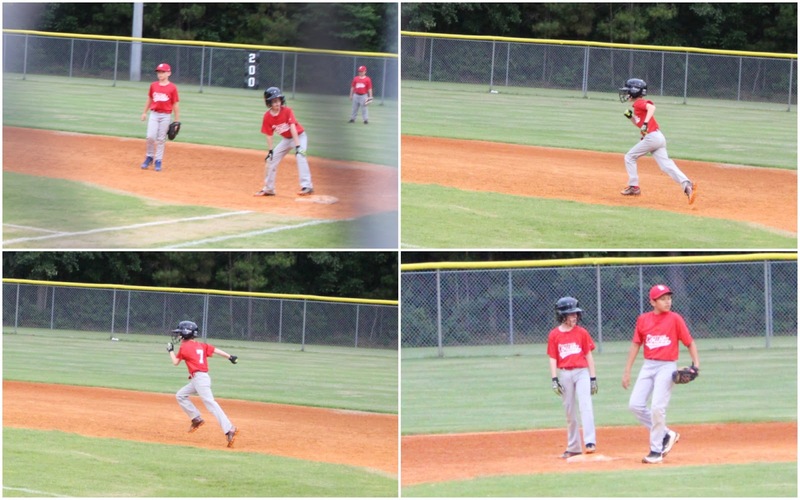 He may have been stealing second. 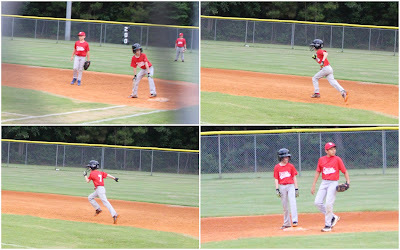 Safe at second and running to third. 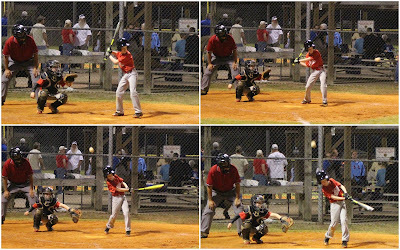 I don't think he made it home this time because the last batter got out. 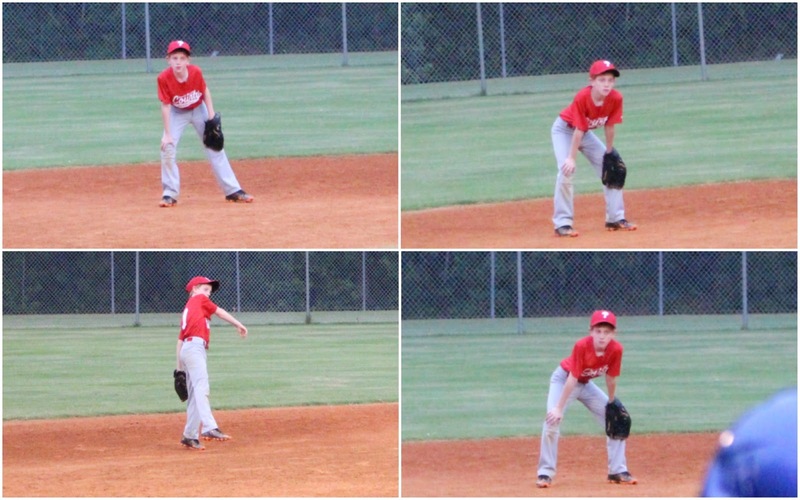 I didn't take my zoom lens most of the time so most of these shots of him in the field are blurry. 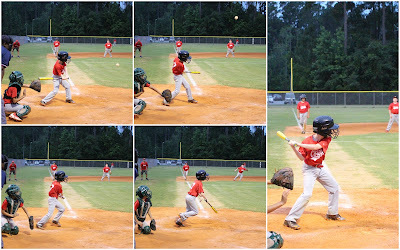 That one was a decent infield hit.